Processing Archives - LABORSCIENCE A.E. For sophisticated and powerful image analysis and evaluation, it is often necessary to post-process or improve the raw image material. In other cases, it is sufficient to obtain information directly from the captured images, e.g. for image measurement, image comparisons or merging individual images into one single image. 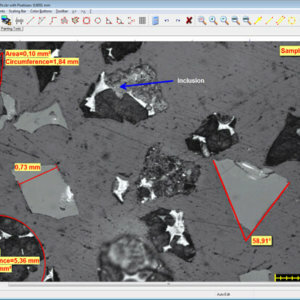 The dhs software module Measurement Tool enables two-dimensional measurement and labelling of previously saved images. With its innovative multilayer technology and many convenient features, it is used for a wide variety of applications.